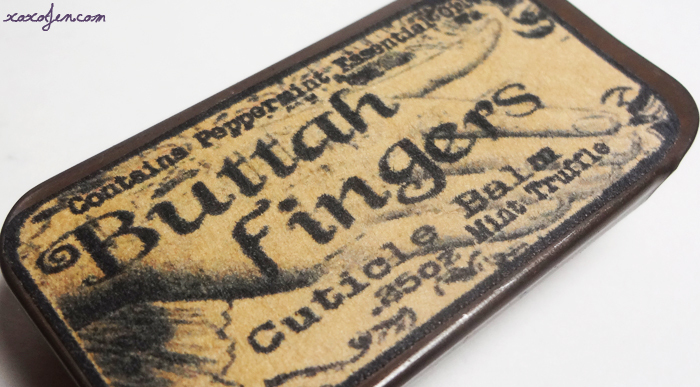 I had the opportunity to review a new cuticle butter called Buttah Fingers from Alamo Candelaria, one of my favorite indie bath and body companies. The butter is available in two options, Mint Truffle and Natural Aroma. Because the butter contains cocoa butter, it has a naturally chocolatey fragrance and coupled with mint, it smells divine! Cocoa butter melts at skin temperature, but is rather hard at lower temperatures. 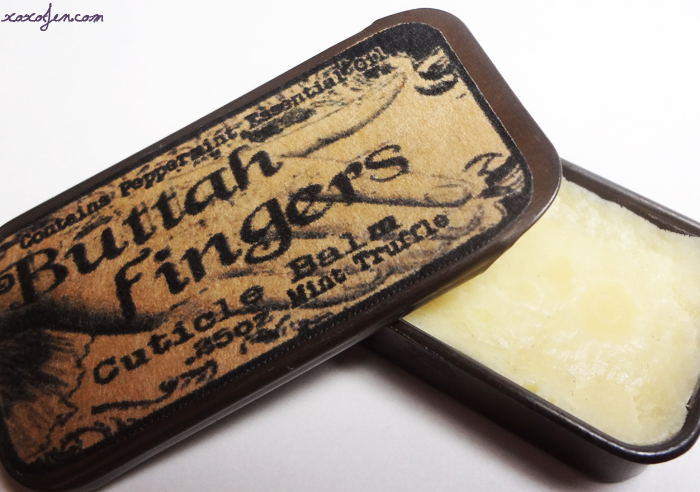 A few rubs across the open tin creates a bit of friction, and it easily melts. Cocoa butter is high in antioxidants, which help fight off free radicals, it has been noted to heal sensitive skin, and is great at hydrating the skin. I, personally, like this butter because it doesn't leave a shine behind after application, which means I can use it and then shoot my photos right away. This photo was taken right after an application of Buttah Fingers. at the Alamo Candelaria shop. Kyme at AC also makes beautiful Artisan Soaps, candles, lotions and perfumes. inoright? I love her packaging too! Sounds nice. I like that its in a convenient little tin that you can carry around with you. Me too! Definitely very portable and the sliding lid makes for easy opening! I like the name of this!